Although David Lee Roth’s debut EP has been issued a few times over the years (including remastered on David Lee Roth’s 2013 Greatest Hits deluxe edition), there really is no better way of enjoying it than the old fashioned way: vinyl! Crazy From the Heat was made for the turntable. At only 14 minutes long, the CD was a strange waste of space. For me, this EP represents an interesting bit of personal history. While it was cool seeing Roth on TV again, I felt like David had sold out his heavy metal past. Van Halen were the first band I liked that split into two camps, and I was in Camp Halen. Roth had not only sold out, but looked ridiculous. He was wearing (gasp) two different coloured gloves in the video for “California Girls”! I can’t stress how much that actually mattered to me at the time. To people like my mom and dad, David Lee Roth was the superstar, Van Halen were just his backing band. “Why is the band called Van Halen if his name is Lee Roth?” asked my mom. “Because there are two Van Halens and only one Lee Roth,” I answered her simply. No point trying to explain who Eddie Van Halen was! Meanwhile, Van Halen chose the hard rockin’ Sammy Hagar for their new lead singer. It seemed to me that a line had been drawn in the sand. On one side, rock and roll integrity. On the other: David Lee Roth. I was not yet 13 years old. You can certainly see how Crazy From the Heat was so polarising. The truth is, it’s just Dave having some fun with some old covers. If Van Halen weren’t so uptight about it, maybe they wouldn’t have had to break up. The really crazy thing? This four-song EP produced two hit singles! Edgar Winter’s “Easy Street” (1974) cooks like an egg on blacktop. That’s Edgar on sax too, who all but steals the show from the consummate showman Dave. It’s a masterful teamup. “Just A Gigolo/I Ain’t Got Nobody” demonstrated Dave’s love and knowledge of old standards, if not his sheer ability to perform them! It was obvious that Dave was influenced by that whole genre, going back to Van Halen. The fact is, Dave’s the master of it. His whole schtick is founded on that era of American music. My parents and I used to have furious arguments over who was better: David Lee Roth or the Beach Boys? I didn’t see how anyone could say the Beach Boys. They didn’t have Steve Vai or Eddie Van Halen on their songs. But Dave did have Carl Wilson on “California Girls”, and maybe that’s how he managed to duplicate their surfing harmonies. Dave beach babe music video for “California Girls” was so arousing that I felt guilty for watching it (over and over). It reminded me of this deck of playing cards that my buddy Bob had. Each card had a different girl in a different bathing suit. (He kept the playing cards hidden inside an 8 track tape.) 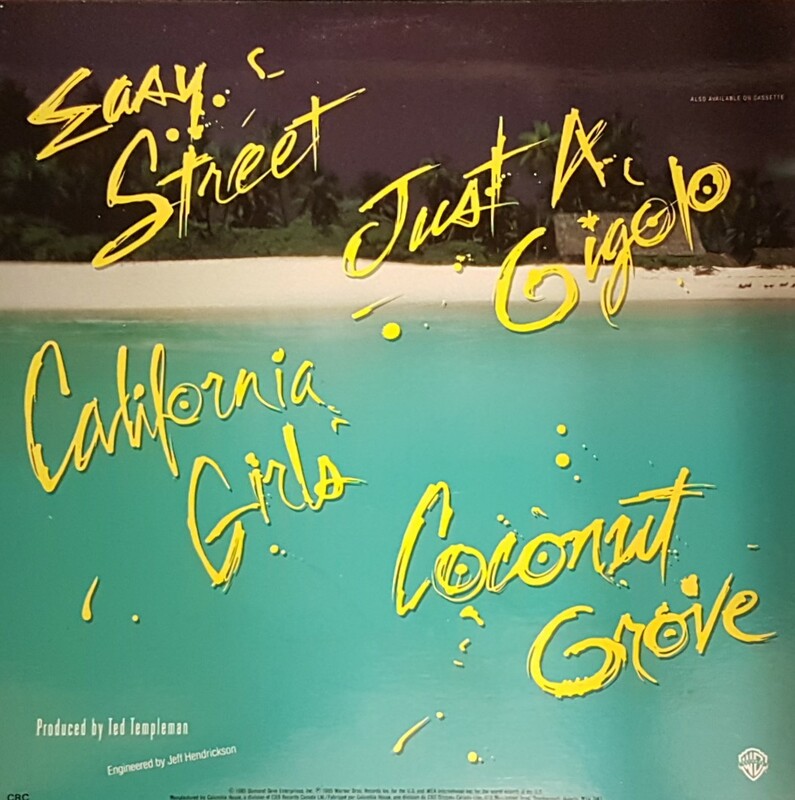 Now, nobody’s really saying that Dave’s version of “California Girls” is superior to the original. They do, however, co-exist continually, in hearts and minds. Roth’s version is to some people what the Beach Boys original is to others. The final track “Coconut Grove” was a Lovin’ Spoonful cover from 1966. It was clear that Dave’s solo EP wasn’t going to challenge Van Halen for the rock crown, not with songs like “Coconut Grove”. It’s so laid back you’ll drift away beneath the tide. It’s very much at odds with the other colourful, fun songs. As such, “Coconut Grove” wraps up the EP with a bow. Crazy From the Heat has a very clear start, middle and end. Back in 1985, I assumed that we had lost David Lee Roth forever, since “California Girls” became such a hit. Fortunately I was wrong, and Dave returned to rock on his next LP (though not without losing his knack for oldies, covering “That’s Life” next time). 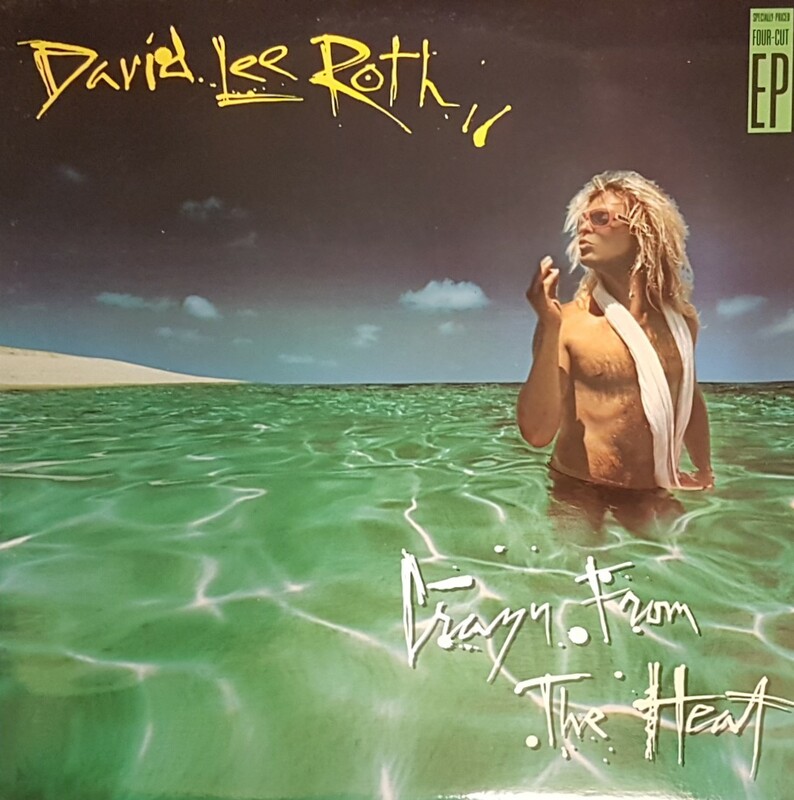 Crazy From the Heat might have pissed me off at the time, but Roth ended up with an EP that is surprisingly timeless and classic. It’s not exactly typical. But it is loads of fun, and far far better than his Diamond Dave album! This isn’t a great album, but you are right. It is just fun. Dave almost jumped the shark with this one, but thankfully his debut was quite outstanding. If the debut album was more novelty covers like this, I don’t think it would have been good. Thankfully he found Steve Vai! I recently had a similar conversation with my mom. I said it would be cool to go see Queen. I just loved, I mean I was totally crazy about this. Must have played that video of Just a gigolo a thousand times at least. Dave is there anyone cooler? I have a funny story to go with this. I had a t-shirt I got from Skyscaper tour and it had the year printed on the back. Fast forward 10 or so years and I was wearing this black t shirt in my Krav maga class and there was this way younger kid with a t shirt that I thought had the same year on it but with different band so I almost commented on that and decided not to and burst out laughing when after the class I realized that the years on the shirts were 10 years apart. Wonder what the kid would have thought about my commenting on the shirt…Yeah this old timer can’t even read numbers anymore or is in desperate need of new glasses…This memory still makes me smile. Noel Monks book describes in detail when Dave dropped the bomb to the VH brothers about this solo album as VH was flying across the ocean to play the European Monsters of Rock tour! I love this one. You can tell Dave is enjoying every minute of it. He had to! He was so miserable in VH at the time. This is all the fun they were lacking.